Updated April 12, 2019 (Originally posted on November 5, 2010). 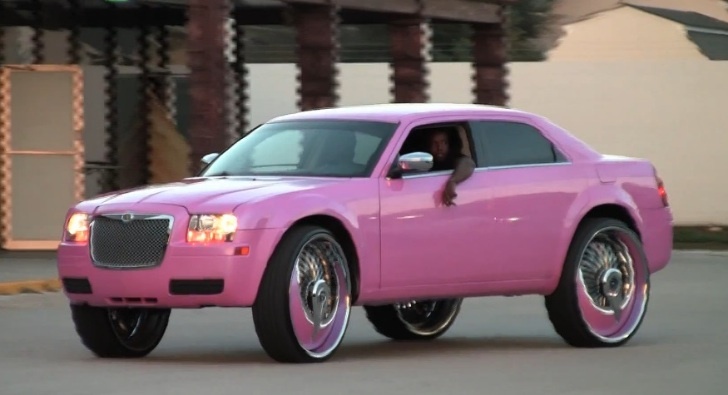 How black people spend their money has been a hotly debated topic not only on this site, but in our office, at social events and in beauty and barber shops across America. This article has been the most read and commented article for 9 years running. Once I learned that this was the most popular and discussed article on the website, I decided to do some research and share this information with others. So what does this really mean? According to The Nielson Company research, Black consumers are speaking directly to brands in unprecedented ways and achieving headline-making results. Through social media, Black consumers have brokered a seat at the table and are demanding that brands and marketers speak to them in ways that resonate culturally and experientially—if these brands want their business. 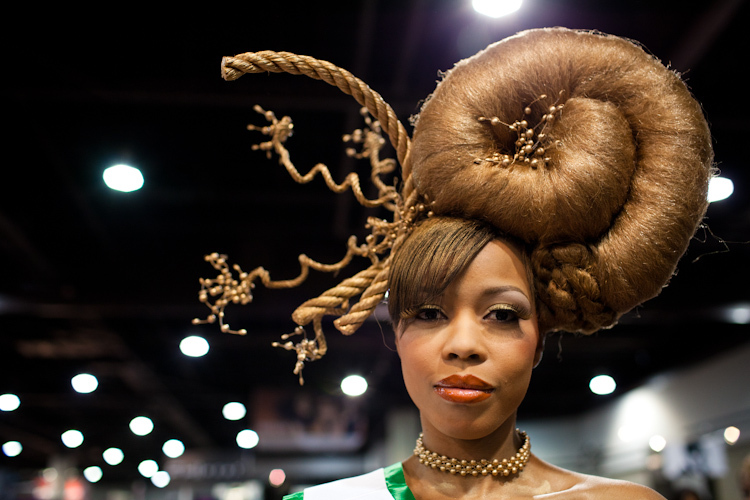 And with African Americans spending $1.2 trillion annually, brands have a lot to lose. Generally speaking, Black people are still living for the moment with a “to hell with the future” mindset when it comes to money. 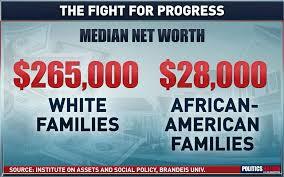 Too many Black folks tend to only worry about themselves and the money that they have NOW. That way of thinking is crippling and must STOP now! According to Brian Thompson, a contributor to Forbes.com, the term “systemic racism”ruffles a lot of feathers. It often triggers emotional arguments about how people feel about racism and its effects. Yet concrete data over long periods of time shows very clearly that systemic racism exists. 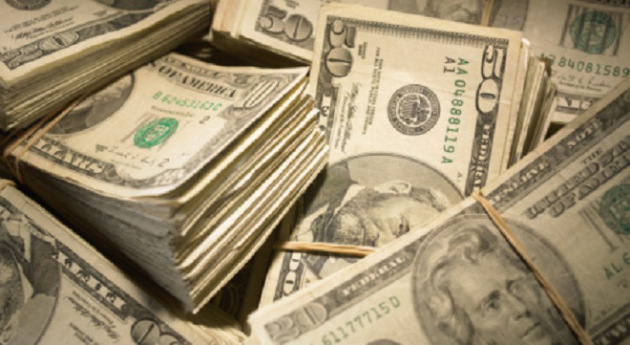 As TheAtlanticnotes, Black buying power is expected to reach $1.2 trillion this year, and $1.4 trillion by 2020, according to the University of Georgia’s Selig Center for Economic Growth. Compared to all consumers, Black people as a group spend 30 percent more of their total income — even though we make $20,000 less than the average household. A whopping 87 percent of annual retail spending consists of Black consumers. But where does our money go? 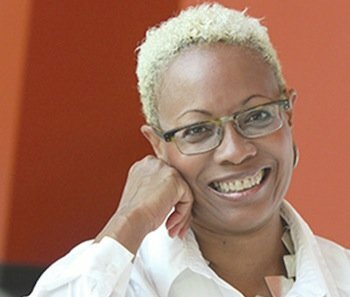 Hudson Valley Press Onlinegives us the scoop via an article from Nielsen’s SVP of public affairs and government relations, Cheryl Pearson-McNeil. 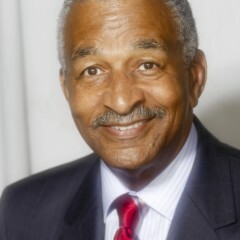 Gary A. Johnson is the Founder of Gary A. Johnson Company & Associates, LLC, a management training and consulting company. The company manages a variety of Internet and digital media enterprises including Black Men In America.com, one of the most popular web sites on the Internet, including the Black Men In America.com Syndicated Blog. In addition, the company manages Black Boating and Yachting.com. What does it take to break free from your debts? What do you think? It’s money right? Well no!! It’s a budget that can help you to be debt free. But there’s one big problem, when you are in debts. Your head can’t think right and straight. Too many thoughts, too many debts, utter confusion, and you seem to be doomed by your own money mistakes! Credit cards seem to be flying all around you like honeybees with their debts like poisonous stings. Some even have payday loans to take care, while others are busy fighting student loans. And, don’t tell about those demotivated cutie femmes, who have a mortgage or an auto loan to defeat!! In such devastating times, the last thing you want to do is keep your debts aside and think about a budget. 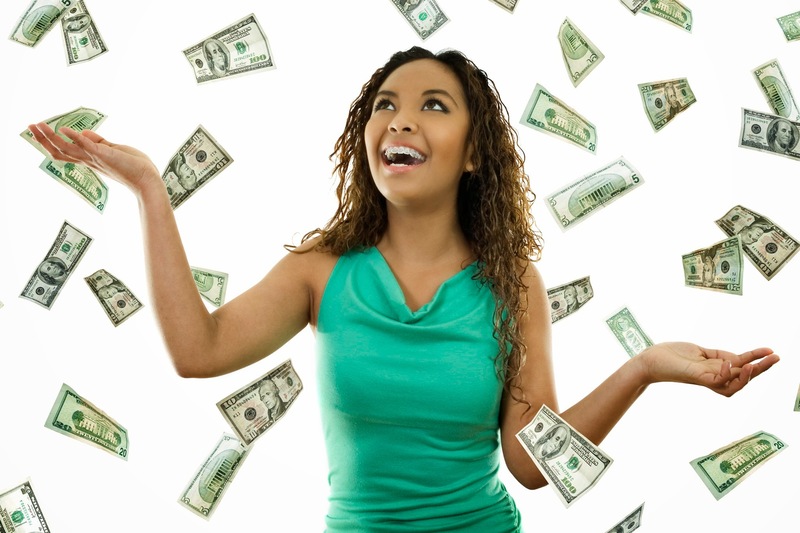 You might feel the rush to use up your whole paycheck to wash all of your debts! And that’s where we make the biggest blunder of all…. Remember it’s all about right channeling of your money. If you can’t pull the rope from both ends, one end being income and the other the expense, then the rope will fall. This part is the most crucial and fundamental part for you to formulate a budget. Your debt amounts will impact your budget to a great extent. If you don’t know how much is about to go out, then you will have no idea how much to store. Moreover, prioritize your debts. Obviously at the first glance secured debts seem to carry the highest importance, but guess what; it’s the unsecured debts that should be your primary affair! Secured debts like mortgages or auto loans are long term accounts, that you can’t get rid of whenever you want. They have a fixed set of terms, conditions and time limits. Clearing a loan before the scheduled time can result into a penalty. So, our concern is definitely unsecured debts or consumer debts. These include credit cards, personal loans, and anything else that’s not backed by a security. Therefore, calculate all your debts, and get a clear number in your head, that this amount of money is what you need to clear all of your debts. Beside debts, we all have other expenses to deal with. The best thing you can do is list all such expenses one by one as per their priority. Like groceries, utility bills, transportation costs, and all, are your first priority. You can’t live without doing these expenses. 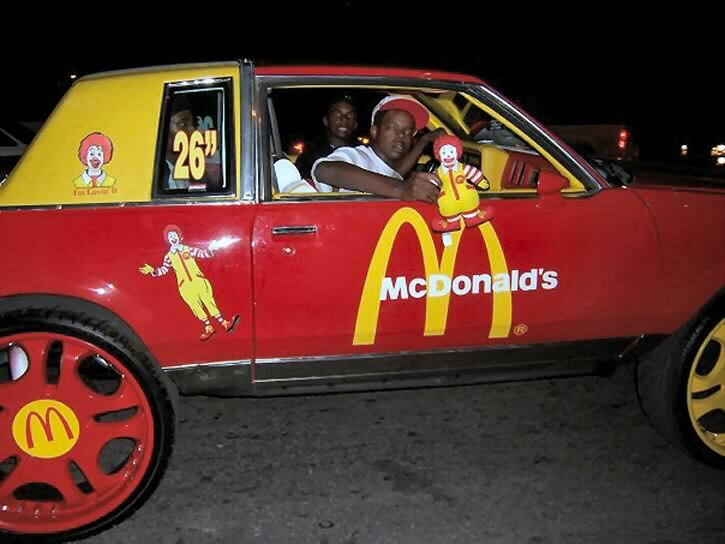 They comprise your livelihood. Notably, these expenses are also flexible, and you can minimize them without much of a hassle. Everything depends on you. Say, you can avoid eating outs, or if needed stop using your car too much, and instead use public transports. Also try to regulate energy consumption, so that you can save on your utility bills. These small changes that you will make, will save you a lot, which you can in turn use to make extra payments for your debts. Be predictive, responsible, and assign fixed values to all of your expenses. I understand that there’s always something called unexpected expenses in everyone’s life, but your aim should be to minimize them as much as you can. Probably that’s why you should save money for emergency expenses. Also don’t miss out on the debt payments. Count them in as a part of your expenses. See cutie, there’s nothing called a fixed budget as such! At least I don’t believe in it. I believe that you are the budget itself!! If you want, and if your decisions are right, then a budget is accomplished. So, list all the expenses and write down the fixed values beside them. 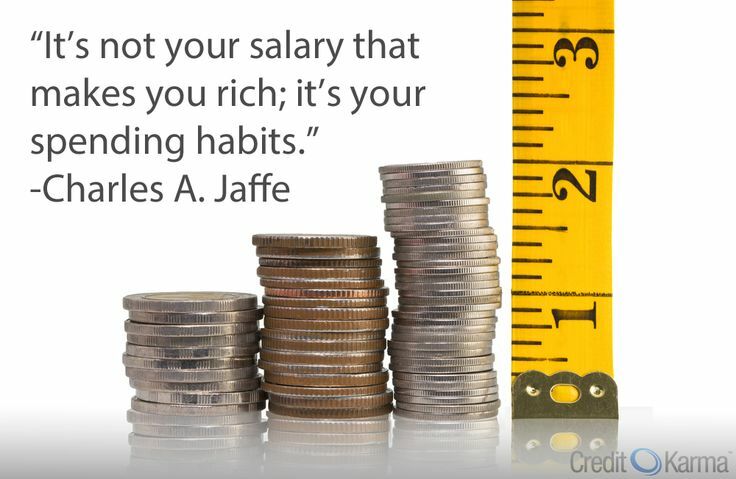 Once you are done, add them up and see whether or not it’s crossing your total income. If your total expenses are falling under your income limit then your budget has played well! Practically the aim of controlling your expenses, is to increase your savings. So with whatever amount is left after subtracting your expenses from income, you use it to do extra debt payments or satisfy your savings goal. Now what if the budgeting itself is not enough, your debt payments are huge and are crossing your overall income? This is when you feel injustice is being done to you. But there’s a big time solution. Take help of a debt payoff calculator to see how much you can save on your debt payments, if your income is not consenting with your debt expenses. You can also get a part time job, or an extra side hustle if you want to increase your income. No matter whatever you do, you still have to budget your money for your own good! Else nothing can help you in the long run. With this we come to the end of our discussion. Hope this article was of some help for your debt situation. Don’t forget to comment down below, for further advice and queries!! Author Bio: Andy Masaki is a financial writer and blogger who specializes on the topic of debt. He frequently writes for the Oak View Law Group and is a active member of several online forums where he shares his tips on how to lead a financially independent life. 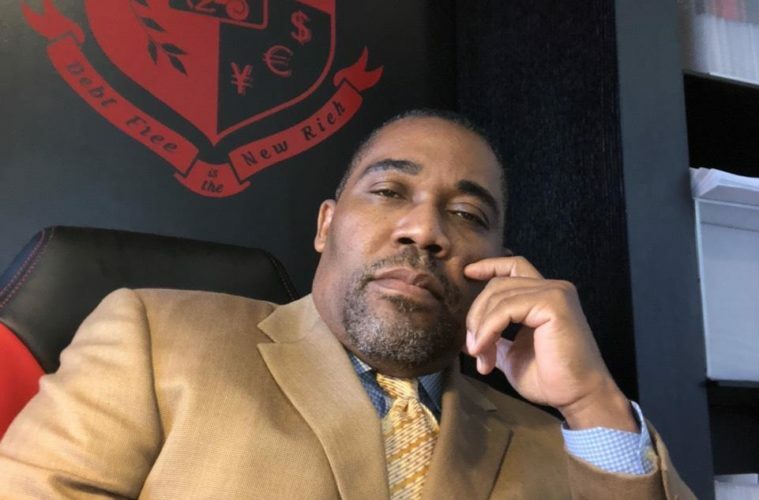 They call him “The Credit Guru of Atlanta.” James Hunt is a celebrity wealth management expert who helps high profile individuals to manage their wealth, and most of all, get rid of negative marks on their credit that adversely affect their scores. 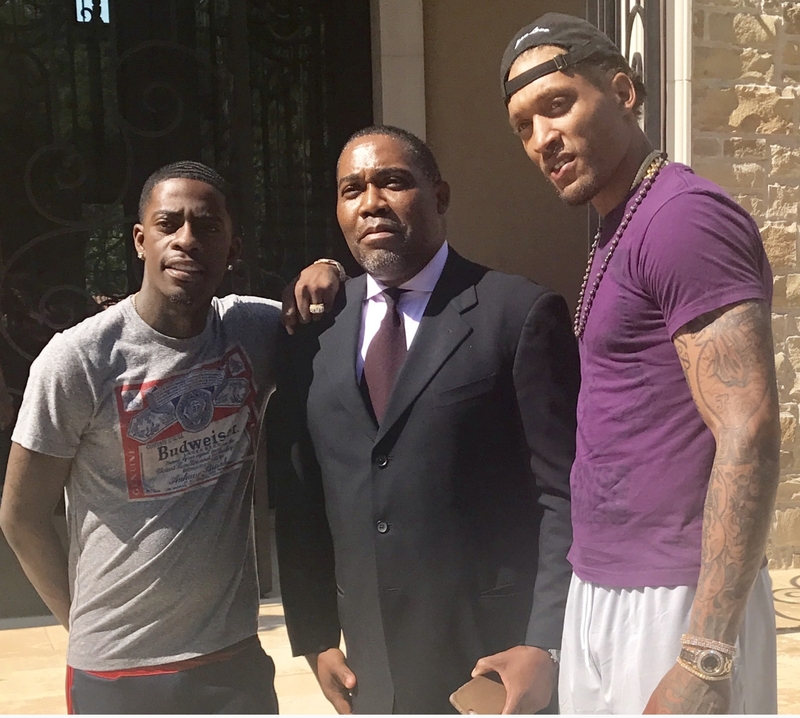 Whenever they are looking to buy an exotic vehicle or purchase a multi-million dollar mansion in Atlanta, they stop by his office first. 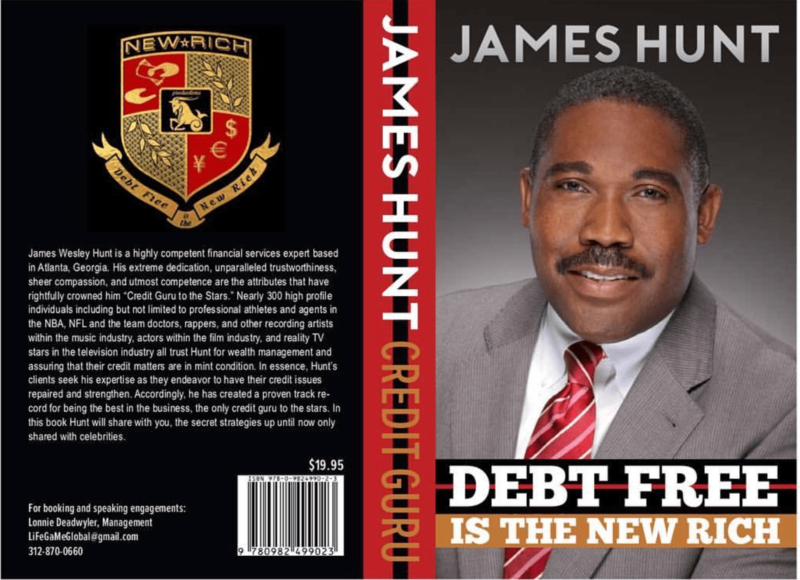 Hunt helps many of the nations biggest A-list celebrities, athletes and businessmen and women to address credit issues, eliminate debt, manage their wealth and stay financially healthy. He has recently become the official credit adviser to the NBA, where he will help all 472 players with their credit starting in the 2018-2019 season. Connecting with can mean improving credit scores from 500 to 750+ and money management strategies that lay the foundation for generational wealth. 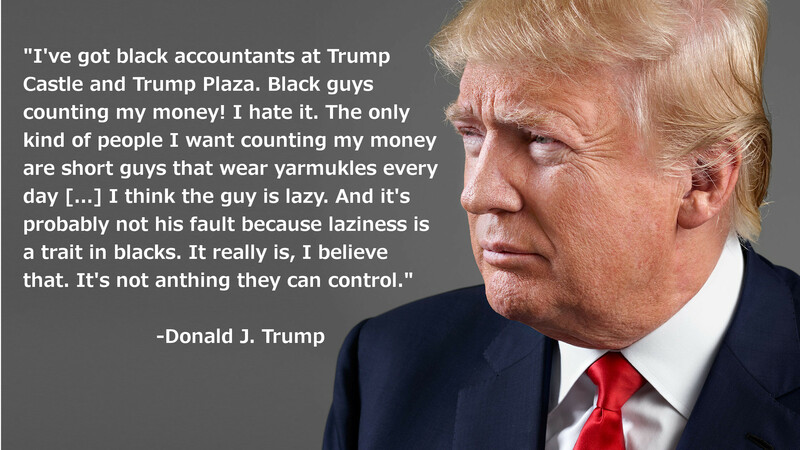 He is also the author of a book entitled “Debt Free is the New Rich,” which contains information to educate readers on things like how to identify and dispute inaccuracies, and how to remove negative marks from their credit reports. He wants people to recognize that no matter how much money one has, poor credit can have a very detrimental affect on your ability live the life you desire! Many of the rich have many of the sames issues as the everyday American. Credit education must start early, so this is perfect not only for adults or entrepreneurs, but entire families as well. April is Financial Literacy Month and it is a perfect time to share valuable information about the importance of maintaining good credit. In the black community, credit education is often not discussed in our homes or in church. However, poor credit is one of the biggest barriers to establishing the elusive generational wealth that we all seek for our families. James will share the work that he does not only with his wealthy clients, but also everyday individuals who are trying to get on track with their finances. He can share insight on how to better understand the information on credit reports, how to identify negative marks and inaccuracies, and also how to dispute them with creditors. Black Men In America.com: As the “Credit Guru of Atlanta,” can you describe for us exactly what you do to help your clients? 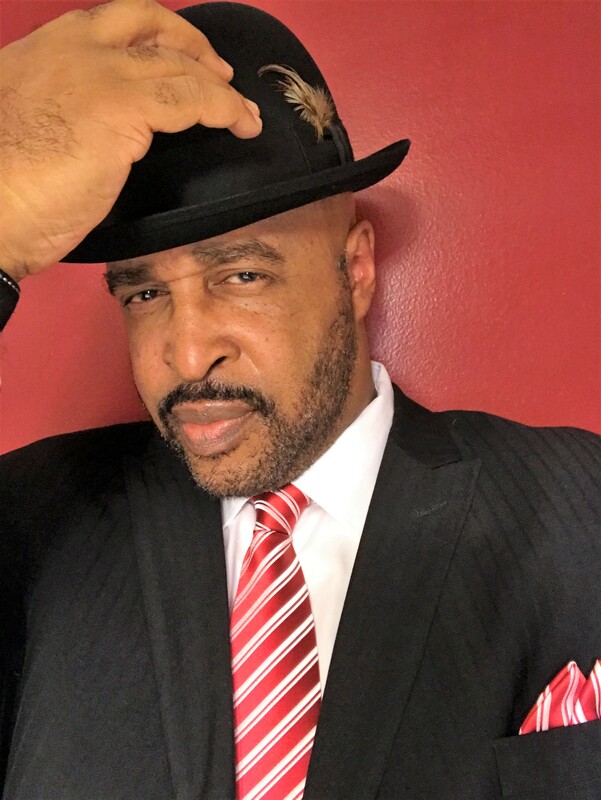 James Hunt: I handle credit issues and financial issues for all of the absolute top celebrity clients for the NBA, the NFL and the music and entertainment industry. Everybody from Akon to Jermaine Dupri, Bow Wow, Vincent Herbert and people I cannot even mention, you name it, I am their go-to person. I am the person helping them to secure the multi-million dollar home or the exotic car they are looking to purchase. If they need something, I make it happen. Black Men In America.com: What is a typical day like for you? James Hunt: I wake up and I am on my feet every morning by 6:00 am. I am in the office by about 6:20 am and then I print all of the emails and prepare all of the paperwork for when the workers arrive at 9am. From that point on, it gets crazy. I receive about 40 to 50 new clients who need help with their credit everyday. 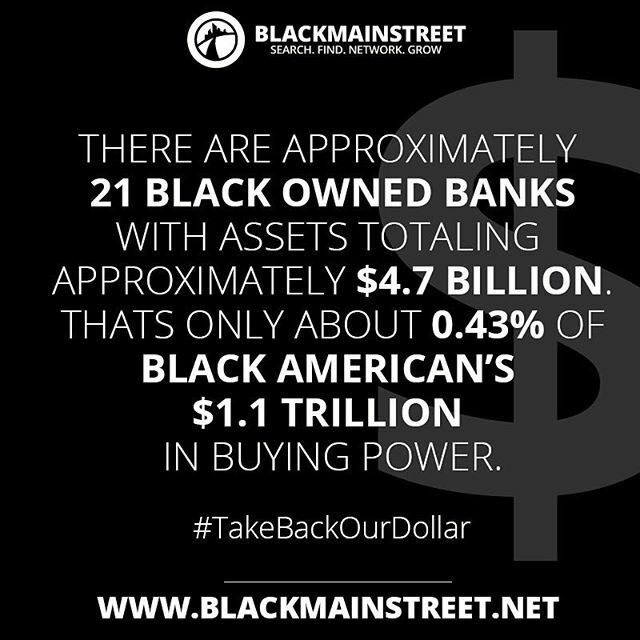 Black Men In America.com: When considering the economic state of Black Americans in this nation, how big of an impact does credit (or lack thereof) have on our community’s inability to generate real wealth? James Hunt: Your credit is basically your power. We have raised a new generation that simply thinks that cash is king. They find themselves trying to get cars and trying to get homes and they realize their signature means nothing. It is worthless. There are celebrities with tons of money and their signature is almost not worth anything but an autograph. 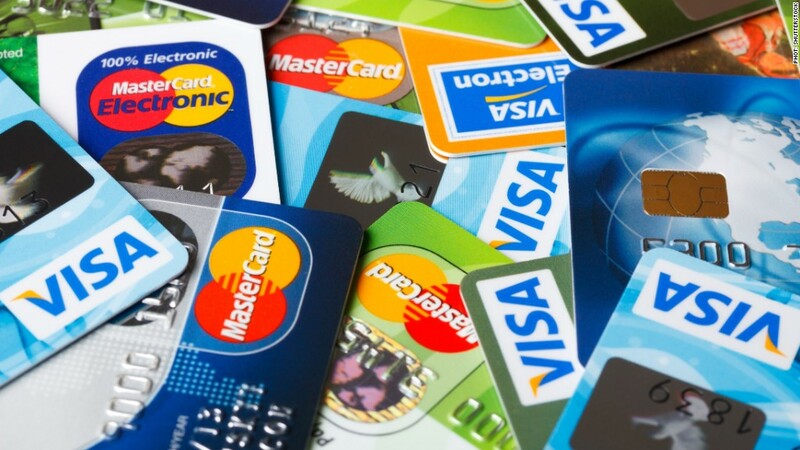 Credit is really what makes the world go ‘round as far as finances are concerned. My opinion is, every door you need to get into financially is going to have something to do, if not completely to do, with your credit. Black Men In America.com: What are some of the biggest mistakes people make regarding their credit, that they may not know they are making? James Hunt: Neglecting to make on time payments and the assumptions that if you pay late there will be no serious repercussions, and not knowing that negative payments will show up on your credit report as a negative account for 7 years from the date of the late payment. There should never be a late payment in your credit report, ever. Black Men In America.com: If you have a low credit score, what are some of the most important steps one should take to repair their credit? James Hunt: This is not an easy question. If the score is only low as a result of utilization and you blowing your credit cards up, the only way to address that is to develop a plan to start putting money aside to start paying them down. If your score is low because of negative accounts, you must do everything you can to challenge those negative accounts and aggressively go after them. Make contract agreements with the creditors or collection agencies to see if you can get them to take a percentage of the debt with the agreement to remove it out of your credit report. If you see anything is inaccurate, then remove the entire trade-line by disputing those accounts and having them completely removed from your credit report. 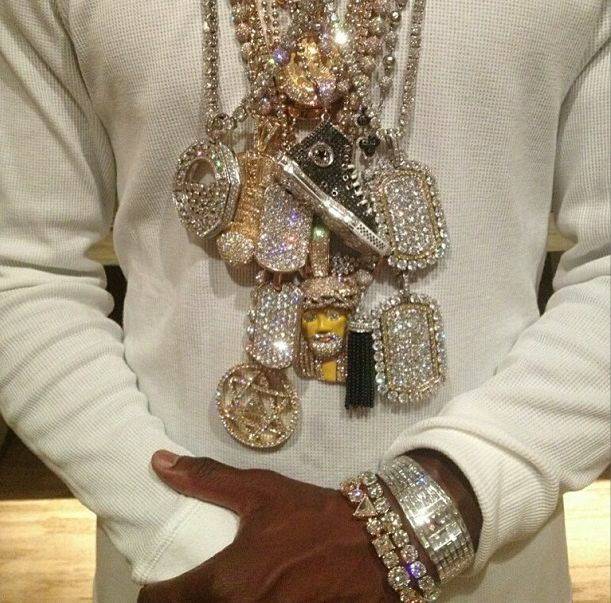 Black Men In America.com: Word on the street is that you are currently in negotiations with the NBA to provide credit education to all 472 players in the league. Why is it important that athletes, many of whom are black, receive this help? James Hunt: I think that the tragedy with colleges across the nation is that while they prepare, or give the appearances that they are preparing you for the real world, some of the most important things in the real world they don’t prepare you for. These athletes come out of college just like any other student usually burdened with debt and even though a new NBA or NFL player has the potential to make a tremendous amount of money, they find themselves dealing with many of the same issues that regular people deal with. 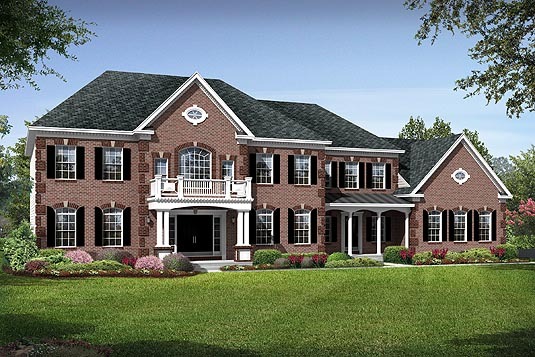 For instance, if you had a collection account or a student credit card that you had blown up and had late payments that went to charge-off status, all of that is going to stop you from being able to purchase that dream house or those dream cars that you wanted if you are going to finance it. Without the proper education, the cycle continues. 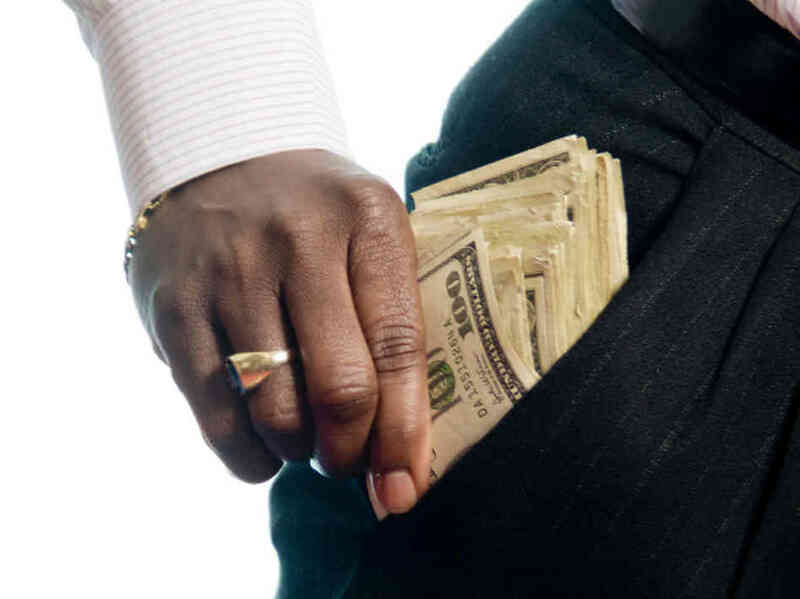 Absent of paying a full amount in cash, if you are going to get the credit that you need, it doesn’t matter what your financial status is, you play by the same rules as everybody else. You have to make on-time payments and you have to keep your credit score up. 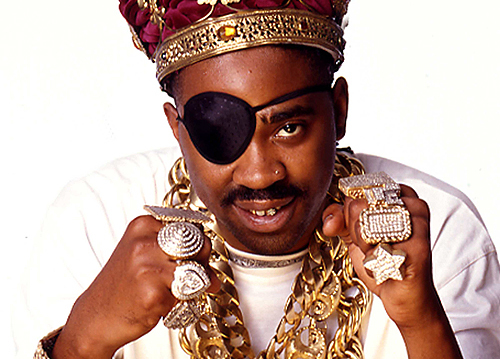 Black Men In America.com: Tell us about your book “Debt Free is the New Rich.” What is the meaning behind the name and what kind of information can people expect to find when reading it? James Hunt: The name came about because I was in a heated debate with a celebrity client who was telling me that he really didn’t need credit because he was rich. I thought about it, and in the process, my argument to this particular music artist was that debt free is really the new rich, which turned out to be the title of the new book. It is a genuine argument. The person who has no debt and is debt free is the person who is really rich. So, it matters not necessarily what is in your bank account, or how many digits are in your bank account that makes you really rich, but what your debt is that determines whether you are rich or not. 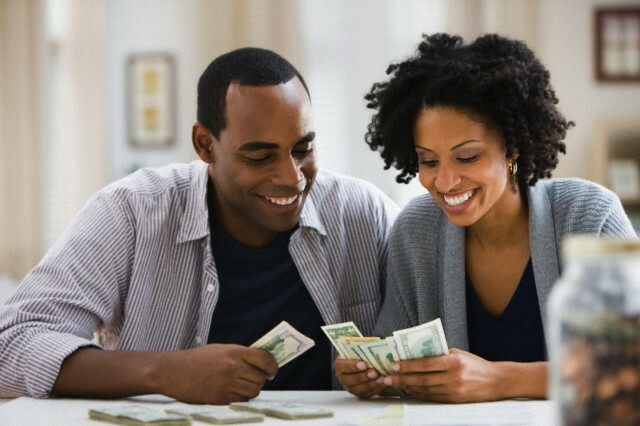 Black Men In America.com: What do you say to the person who says they don’t know where to start to improve their credit? James Hunt: We live in a society where all of the information is readily available at your fingertips with Google and the other search engines. If you really want to know what you can do and what your rights are as a consumer, you have the ability to know. The idea of not knowing is no longer an acceptable excuse. Educate yourself and get your credit in order so you can live how you desire to live. 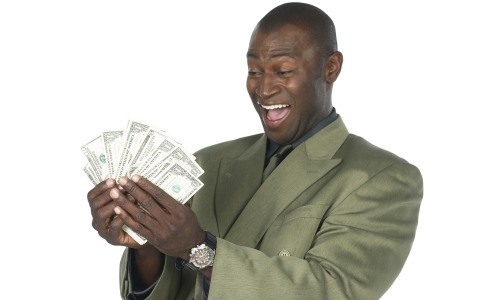 Black Men In America.com: How can people get a hold of your book, “Debt Free is the New Rich”? James Hunt: It will soon be available on my website, but for now, people can contact me directly at jameswhunt1963@gmail.com. You can also follow James Hunt on Instagram @thecreditguruofatlanta and @whoisjameshunt. Be proactive – Know what is in your credit scores. You can access your credit report once every 12 months for FREE from all three Credit Bureaus: Equifax, Experian and Transunion. Check your report for any discrepancies. Dispute any and all inaccurate information on your account immediately. Document Everything! Keep records and follow up with creditors. If they say they are going to remove something, make sure they do it and you have proof of their commitment. Publisher’s Note: As a matter of policy when we post interviews about products and services we urge our site visitors to educate themselves and not be a “low information” consumer. Do your research and talk to people in an effort to educate and protect yourself. Special thanks to Ivan Thomas for arranging this interview. Helping people get out of debt is passion work for me. Today, African-Americans are significantly more likely to have some type of debt (94 percent) compared to the general population (82 percent). 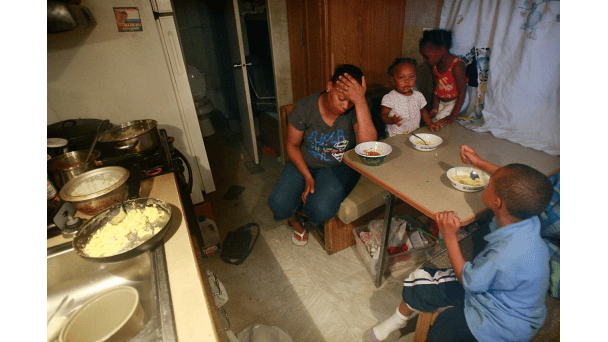 African-Americans have a median household debt of $18,000, not including home mortgages, which is about 50 percent higher than the household debt for the general population. 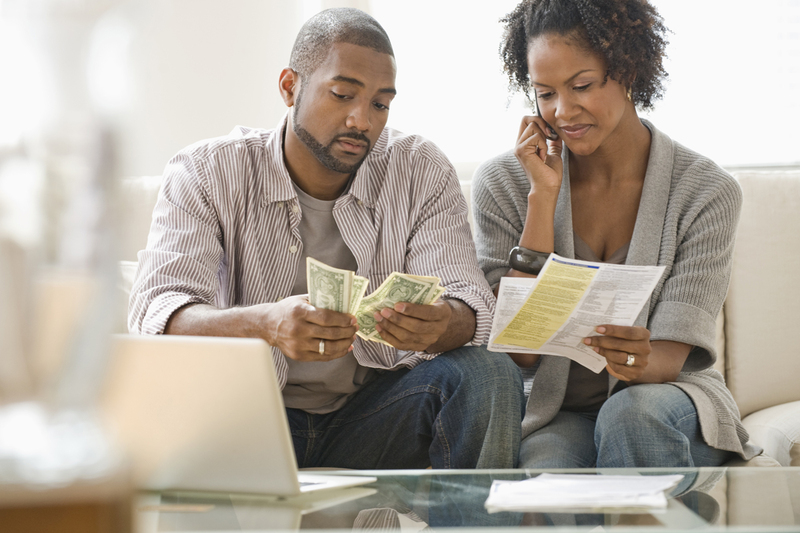 One in four African-Americans has felt anxiety or depression as a result of debt. We often speak of seeking political freedom, and have worked together as a community effectively towards this aim. Yet today, financial freedom is the next hurdle we must surmount if we want to make even greater gains towards social equality. 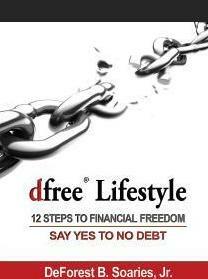 Dfree® is a lifestyle movement that I created that places an emphasis on the elimination of debt and addresses the root causes of chronic indebtedness. The dfree approach confronts the emotional, psychological and spiritual causes of debt. “Dfree” stands for freedom from debt, delinquency, deficits and freedom to make deposits to savings, earn dividends and possess deeds that represent ownership. You will establish life goals, track spending, list income and bills, establish banking relationships, and secure all financial documents and records. 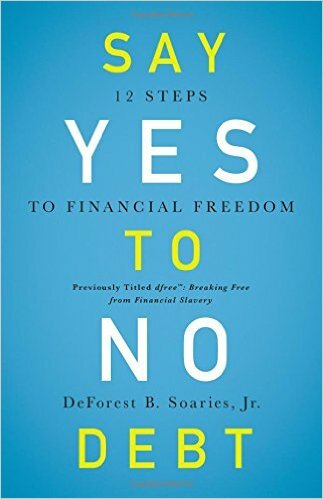 Founded in 2005 by DeForest B. Soaries, Jr., dfree® is a financial freedom movement that addresses the cultural, psychological and spiritual influences on financial wellness and offers practical strategies for achieving financial success. 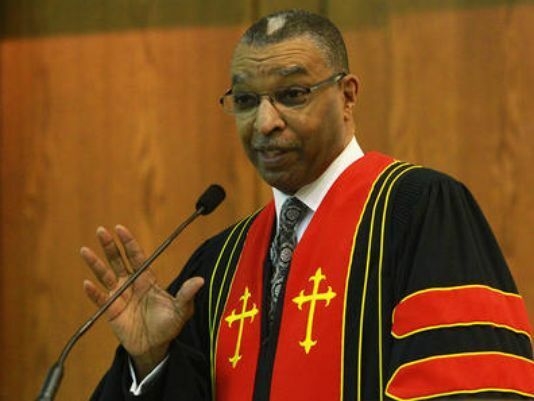 DeForest B. Soaries Jr. is the Senior Pastor of the First Baptist Church of Lincoln Gardens in Somerset, New Jersey. 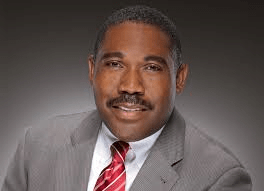 He formerly served as New Jersey’s Secretary of State and his work was featured in the acclaimed CNN documentary “Almighty Debt.” Soaries earned degrees from Fordham University (BA), Princeton Theological Seminary (MDiv) and United Theological Seminary (DMin). 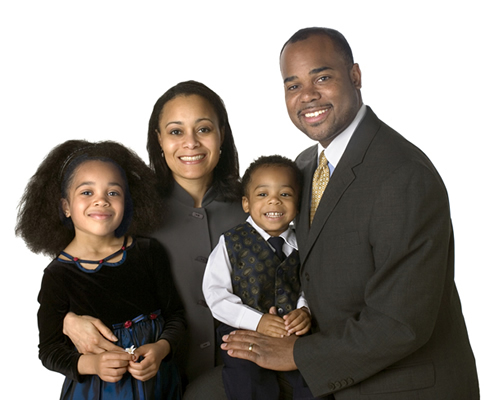 He lives in New Jersey with his wife, Donna, and twin sons, Malcolm and Martin. Click here to learn more about the dfree® Financial Freedom Movement. What do you think of when you hear the word retirement? Do you see yourself spending weeks at a time with your grandchildren? Volunteering your time to a worthy cause? Traveling to remote vacation spots you’ve always wanted to visit? Those dreams simply don’t line up with the reality of many working Americans. Rather than packing their bags for a month-long escape, many retirees will be packing their lunch for an eight-hour shift. And it’s not because they want to; it’s because they’re broke! 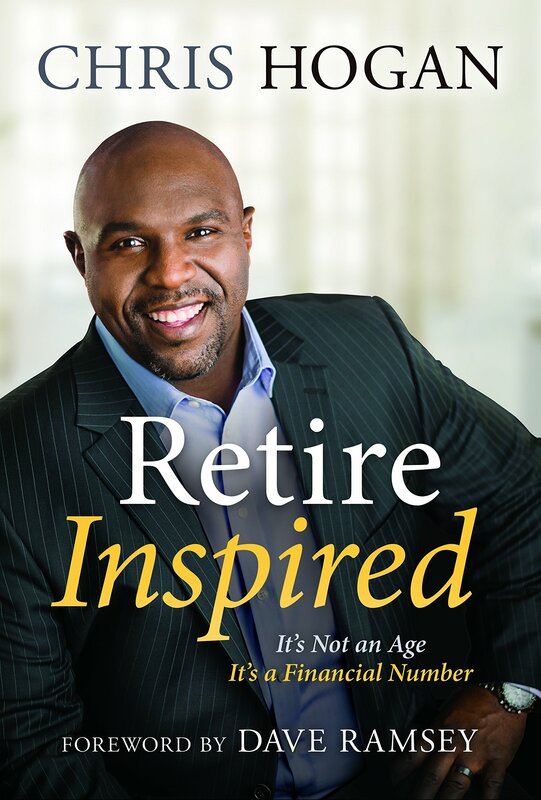 In Retire Inspired, Chris Hogan teaches that retirement isn’t an age; it’s a financial number—an amount you need to live the life in retirement that you’ve always dreamed of. Whether you’re twenty-five or fifty-five, you can start now. Chris will equip you with a plan to make your own investing decisions, set proper expectations with your family for retirement, and build a dream team of experts to get you there. You don’t have to retire broke, stressed, and working long after you want to. You can retire inspired! Chris Hogan helps people across the country develop successful strategies to manage their money, both in their homes and businesses. He is a popular and dynamic speaker on the topics of personal finance, retirement, and leadership. For more than a decade, Hogan has served on Dave Ramsey’s team as a trusted financial coach and advisor and a sought after speaker. Hogan helps people plan for their future and reach their retirement goals through his Retire Inspired Live Event and R:IQ Assessment tool. Chris lives in Nashville, TN with his wife and three children. For more than a decade, he has served at Ramsey Solutions as a trusted financial coach and Ramsey Personality. You can follow Chris on Twitter at @ChrisHogan360 and online at chrishogan360.com. Chris here to buy Retired Inspired from Amazon.com. The last decade has seen a marked increase in false assumptions regarding the millennial generation. Despite being the generation promising to make the world a better place, many people assume that due to the high percentage of millennials receiving help from their families, a number reaching 35%, they have a poor work ethic and are completely failing to plan for the future. The data simply doesn’t support those assumptions, however, with a greater percentage in the full-time workforce and higher savings rates than their Gen X counterparts. The millennial generation faces a unique set of economic challenges. From cripplingly high student loan debt acquired while earning the college degree necessary for even most entry-level positions, to housing costs rising far faster than the median income, millennials deal with challenges different than any previous generation in getting a strong financial start in life. With many housing markets pricing the young families right out of the market, it’s no wonder so many of them still live at home, saving all they can. Despite higher education rates than any other generation, a millennial with a degree can look forward to a median income comparable to that, adjusted for inflation, of a non-degree-holder in 1980. Savings account interest return rates don’t return enough to be remotely useful as an investment tool, while debt interest rates have skyrocketed. Millennials have responded by having far lower average credit card debt than their parents. In order to combat the unique challenges they face, millennials are completely redefining the way Americans live, changing the face of professional industries across the board, and living lives in a completely different way than their parents and grandparents. This inevitably brings criticism and pressure from older generations, many of whom oppose change of any kind. Changing circumstances demand changing lifestyles, however. Take a look at the infographic below for a direct comparison of millennial finances as compared to their predecessors. While Canadians freak out over avocado toast and housing prices, let’s see what’s happening with Millennials in the United States.